Be the first to hear about their new releases and deals. 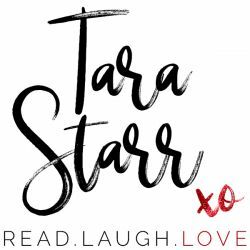 Download the Booksprout app and search for Tara Starr today! I’m Tara Starr! I invite you to join me as I write sizzlingly hot romantic comedy! I promise you that if you give me a chance, I will make you laugh so hard. And then get really hot and bothered! My books are all in a series set in Clarendon Tower—the most exclusive and coveted condominium in New York City. In my prior life before I was an author, I used to work on Wall Street for a major global investment bank. I left my job early this year because I wanted to write and explore the world (aka I got laid off). But after putting out my first book, Sticky Fingers, I don’t think I’ll ever quit writing. Or go back to work for a big bank. Seriously, no other job can you sit and work the whole day without pants! Once you get into the world I’ve built, I’m sure you will fall in love with my characters just as much as I have! And then we will really start to have some fun!